Insure your trip against unforeseen circumstances, missing luggage, trip cancellation etc., by getting a Travel Insurance Plan. Our company is ranked among responsive and responsible Tour and Travel Agencies in Uttar Pradesh, India, offering reliable Travel Insurance Services. 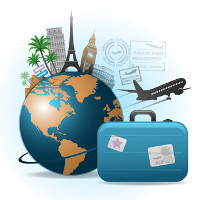 As per your budget, we can get youâ��re a travel insurance plan to make your trip full proof. Once you get a plan with us, we guarantee to provide 24 hour emergency assistance and many other advantages. We can customize a travel insurance plan for your requirements as well.